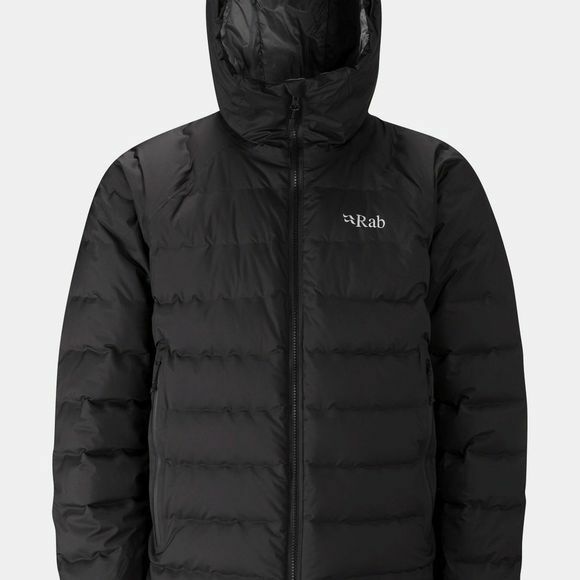 The Mens Valiance Jacket from Rab is a bonded box-wall construction down-filled jacket with fully waterproof Pertex Shield outer. A great option for cold and wet excursions in the outdoors it features YKK zips throughout and a helmet compatible hood with a stiffened, wired peak for extra coverage without hindering your vision. The highest quality hydrophobic down insulation is used throughout the main part of the jacket while areas of high exposure, the hood and cuffs, utilise Pyrotec synthetic insulation for better resistance against damp conditions.